Imagine yourself and your team really believing that your higher-priced products or services are totally worth it. I mean, from the bottom of your heart, truly knowing with ever fiber of your being that the price you’re charging is completely justified by the quality and benefit of the offering. That’s a strong position to come from and sometimes we have to ask ourselves, how much do I really believe it as opposed to just telling myself (and others) that I believe it. Think of this- if you paid for a Jaguar and drove it around, would you have a different level of experience than if you’d bought a Honda? And would others see and treat you differently? Of course there are people who just want a Honda and choose to buy that, but why not go out there evangelizing for what’s truly great and transformative about driving a Jaguar? It’s true what they say: Buy one great product one time at a premium price, and you’ll always have it, love it, use it, feel good about it and never have to replace it. Generally, when people call, visit or otherwise inquire, they have a need for a product or service and intend to act on that. Why else are they calling? All too often your company’s representative will explain and over explain, in detail, what the part looks like, where it comes from, how it’s made, what it’s made of, what you can do with it, and sometimes that’s too much. It can overload the customer. Try letting the product sell itself. Get out of your own way and say just enough to let the customer say “Okay, I’ll do it.” Remember, they called you! Sometimes a company rep will try the tactic of elaborating on a specific technical breakdown the potential customer must be experiencing, or will soon experience. Then, the rep will spin into such a negative tale of impending fire and brimstone, raining down locusts and frogs and inevitable all-out destruction if the part is allowed to fail. Without immediately stating the solution, the potential customer gets overwhelmed, scared off, and hangs up. If a rep warns of a specific technical breakdown, the sure solution must follow right away, and with a definite price attached. Think about the word service. To serve. It means to provide whatever it is that your customer wants and needs, or doesn’t even know they want or need, but would love if you just surprised them with it, as soon as or before they have stated their desire. Ever go to a restaurant with absolute tip top, A+ service? I mean fancier than Cracker Barrel (although they make a mean chicken ‘n’ dumplings, to be fair). I’m talking the kind of place where waiters must study the menu as if it’s their college dissertation. The kind of place where they’re not around your table too much or too little, but the second you want ice water or bread sticks the snappy waiter shows up, efficiently refilling your glass or basket. And when you throw out the slightest question about a menu item, they come back with definitive recommendations, telling you exactly what dishes you would love– and who would’ve thought your new favorite food would be the maple chipotle glazed Peruvian sea bass with parmesan parsnip reduction? This is the level of service your reps should strive for. Oftentimes resistance from a potential customer is just them playing the game, doing their side of the dance. When faced with your stated price, the customer often throws out a bit of resistance. Often they feel they need to do this to show self-respect. Maybe they are a little worried about money. Maybe they need just a tiny bit more coaxing regarding the supremely high quality of the product or service. Whatever it is, just say something! Ask them what the bottom line issue is. Ask what they were expecting to get for what price. Ask them how they’d feel having a top level product versus a lower level product. The worst thing you can do is stand there and say nothing. If you answer their resistance, you stand a good chance of turning them around. A representative that stands silent during a crucial moment of truth may as well just plant themselves in a field and start scaring away birds! A solid, uninterrupted connection is important, and not just for cell phone companies. All too often, a rep is explaining the problem at a potential customer’s house, then leaves to go back to the truck to calculate the price. The customer, having just been told of a problem, is left too long to their own devices and starts looking around on their smart phone, computer and starts calling asking for advice. Not good! A successful rep needs to stay in the home, with the customer until the deal is closed. In parts of the world, totalitarian governments took control of everything and basically shut down free and open competition for products and services. If you lived in one of these countries, where the population was tightly controlled, you had one kind of tea you could buy, one kind of noodle, one kind of beer. If your appliance was broken, the repair man offered one level of service – no more, no less. Don’t offer your customers a totalitarian regime-level of service. Offer them a range of products and service plans, from the premium deluxe to the solid middle option to the discount just-get-it-working deal. Your customers live in a country full of freedom and options, treat them like it! 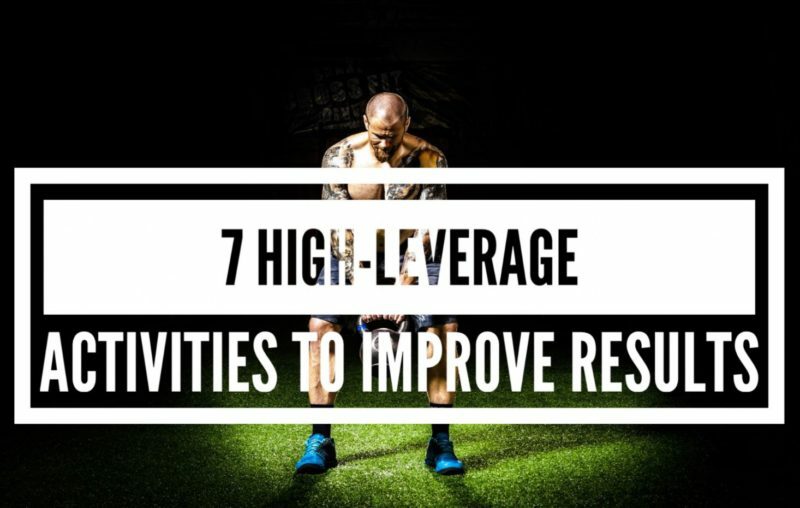 All of these 7 points above involve leveraging your time and energy into activities that will yield maximum results and performance. To learn even more tools for closing the deal and providing pure motive service, become a member of ContractorSelling.com. Join today at www.contractorselling.com or call 877-764-6304.